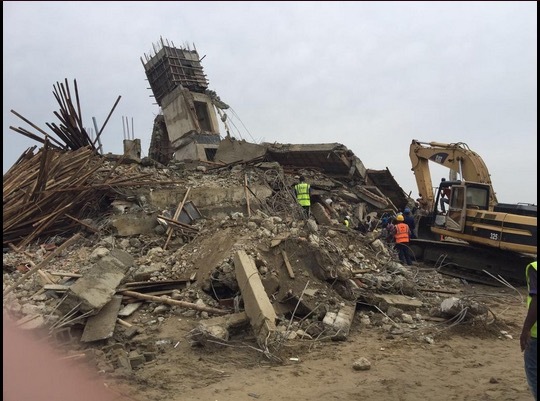 Sadly, the death toll confirmed after the collapse of a five-story building in Lekki has risen to 6. Another 6 are injured and in the hospital while “about 50” are still trapped inside the building that collapsed in the early hours of today. 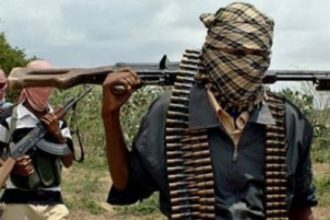 The building, located inside Lekki Garden Estate in the Elegushi area of Lagos, collapsed, trapping dozens of inhabitants. 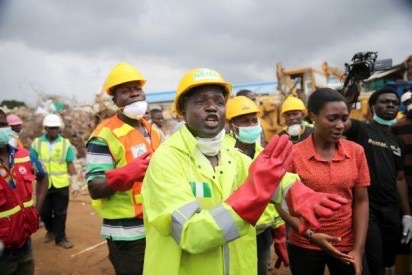 A spokesperson of the National Emergency Management Agency (NEMA) Ibrahim Farinloye, has said that 12 people had been rescued from the collapse, six of them alive and six others dead. Watch some survivors of the Lekki building collapse speak.